...We are offering this for one single payment of US$2,999.00 for the first 100 that enroll right now. -6 months to complete the training if you decide not to complete it in 1 month or 20 days. 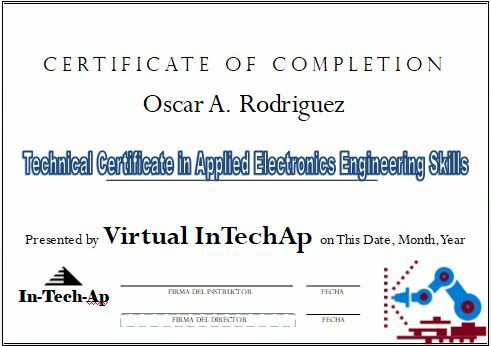 -Technical certificate accredited by Virtual InTechAp. -Your personalized account to access your e-learning porta. ﻿ Notice: Next cohort starts on January 1, 2019 and ends March 30, 2019 (12-week program). Please allow 24 hours for the creation of your account once you make your payment. For the next cohort, elearning accounts will be ready before January 1st. After week 1 you will receive 66% reimbursement. After week 2 you will receive 33% reimbursement. No devolution after week 3. 1. Use of Multimeters and measurements. 2. 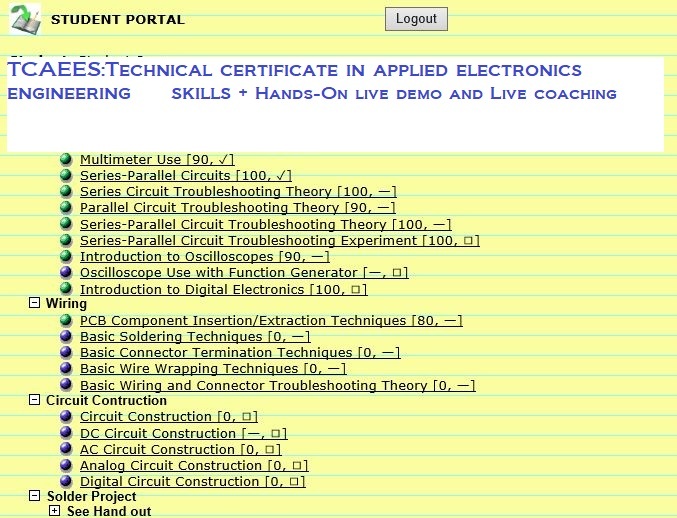 DC&AC Circuits design and troubleshooting. 3. Use of Osciloscope and measurements. 4. Function generator use and measurements. 5. Digital circuits design and troubleshooting. 6. Electrical wires and harnesses. 8.Hands-On Applied Electronics Engineering Project. Copyright 1998-2018 InTechAp-Virtual. All rights reserved.